Although Black Friday is typically thought of as the biggest discounted shopping day of the year, the unbeatable deals don't end as soon as the clock strikes midnight. In the midst of planning for Black Friday — whether that's scouting the best sales or figuring out where to park — it can be easy to forget that Cyber Monday happens only four days later. Here's everything you need to know about Cyber Monday 2018 so that you can score the best deals. Cyber Monday is the prime online shopping day of the year. In 2017, Cyber Monday sales brought in a record $6.59 billion. The name Cyber Monday was originally created by Shop.org in 2005 to encourage people to shop online when they got into work after the holiday weekend. But how is it different than Black Friday? On the surface, most of the sales are fairly comparable to Black Friday deals. In the past, Black Friday has typically been an in-store event while Cyber Monday was only online, but in the last few years Black Friday sales have been popping up online, as well. Black Friday may have some better in-store doorbuster deals, but the difference is most likely going to be only a few dollars and Cyber Monday saves you the hassle of having to brave the crowds. Cyber Monday also offers a way for smaller retail websites to compete with larger chains. Cyber Monday always falls on the Monday after Thanksgiving. Most of the time, it is in November, but if Thanksgiving is on the 27th or 28th of November, Cyber Monday will be in December. The date range for Cyber Monday is November 26 to December 2. This year, Cyber Monday occurs on November 26. In the past Cyber Monday has been a single day of sales, but now the holiday shopping event has expanded to the entire week, which some retailers have started calling Cyber Week. You can expect to see may of the same sales Tuesday, Wednesday, Thursday and Friday as you do on Monday. 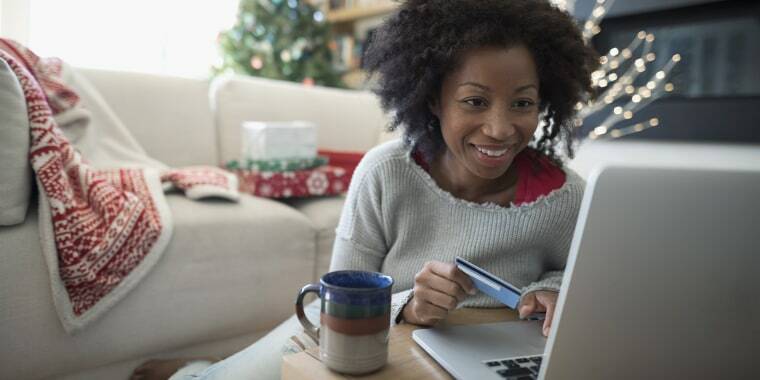 Although we don't know exactly what will be on sale for Cyber Week, here are some ideas of what to look out for this year based on Cyber Monday 2017 trends and the Cyber Monday 2018 ads we're already seeing. Amazon: It should come as no surprise that the online shopping behemoth would be the king of the Cyber Monday sale. Amazon usually carries many of its Black Friday sales, some of which have already started, through Cyber Week and, if its 2017 Cyber Monday ads are any indication, there will be deals on tech, kitchen appliances and more. Walmart: Walmart is already advertising sales in most categories, including electronics, home goods, toys, sports equipment, video games, clothing and beauty. Best Buy: Best Buy's Cyber Monday sale kicks off on Sunday, November 25 this year, so make sure to have your laptop and credit card handy to score big on new tech. Target: Last year, Target had a 15 percent off sitewide sale in addition to numerous smaller deals. GameStop: Shopping for a gamer this year? Cyber Monday is the time to buy because normally expensive video games should be deeply discounted. As Cyber Monday gets closer, we'll be sharing all the best deals we find. Make sure to subscribe to our Stuff We Love newsletter to be the first to hear about the great savings.